We offer lessons throughout the day and evening. We have group, private and semi-private lessons for all levels of riders. During the school year most of our younger students ride after 3PM and up until 7PM. Most of our adult ride during the day or after 6PM. We have an outside riding ring and an indoor ring. If you are interested in riding lessons at Cando Farm and want to get started, call Linda at 215-794-3122 to set up an evaluation. What kind of riding lessons are available at Cando? We give lessons on the flat and over fences in and out of the ring. We have general lessons with both flat & jumping. We also offer dressage lessons. And we have jump lessons where we work on gymnastics for the horse and others to work on the riders. 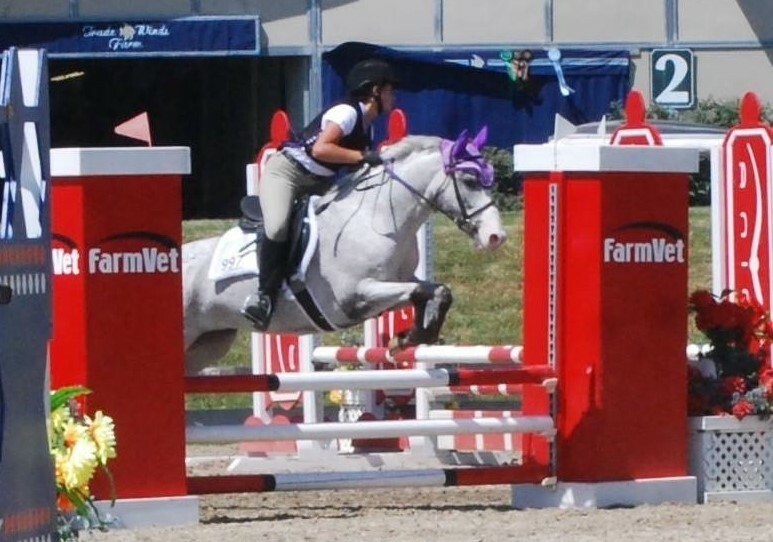 For our riders interested in riding jumpers, we teach our riders strategies to help them win in jumper classes. We also have lessons where you can learn to ride out on the trail as well as learning how to jump cross country fences. What levels of instructions are available? We offer lessons for beginners to advanced students. How many students are in a group lessons? We try to keep down the number of students in a group and usually aim for three or four students. Do Cando students go to horse shows? Many of our students compete successfully at horse trials, dressage shows and jumper shows on their own horses or on Cando school horses. Are there opportunities to ride outside the ring? We provide opportunities for students to trail ride or to school over cross country fences away from the farm. Do you provide trailering to horse shows & events? We also offer coaching & trailering to horse shows and events for our students. For more info on riding lessons please call Linda at 215-794-3122. Or you can send us an email to: Linda@candofarm.com.